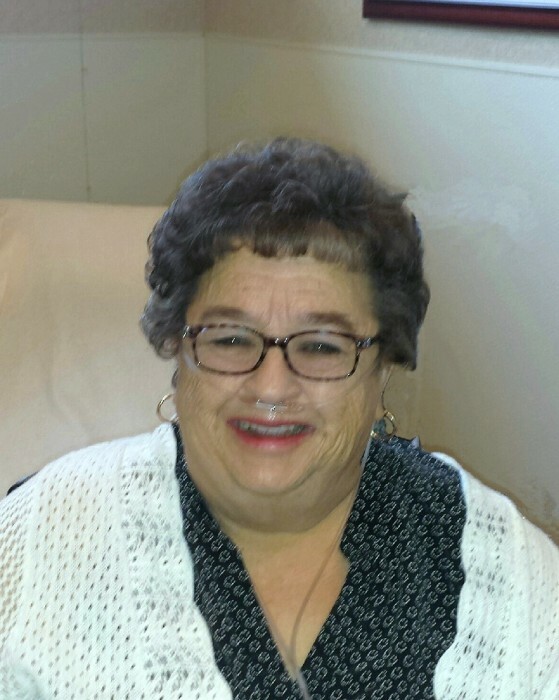 Arlene Sue (Anderson) Palacios, 74, of Nampa passed away on Friday, January 18th, 2019, at St. Luke’s Boise Medical Center. Arlene was born on November 3rd, 1944, in Marsing, Idaho to Orbra Edwin Anderson and Goldie Elizabeth (Rainbolt) Anderson. She was the youngest of three children, following Jaqueta Arletta (Anderson) Saffery and Dorton Orbra Anderson. She attended Riverside Elementary School and Marsing High School. In 1962, she married Jose Luis Larrea, with whom she had three children: Bryan, Kelly, and Maria. Together they established a hay hauling business. For sixteen years, she worked diligently to maintain the business while raising their children. She was employed by various organizations before becoming a CNA and eventually supervisor at the Idaho State School & Hospital. In her later years, she was a caregiver for those with developmental and physical disabilities, an occupation which perfectly suited her altruistic nature. In 2005, Arlene began a relationship with Wesley Glen Stallings, with whom she made many happy memories. Arlene especially enjoyed family gatherings, cooking, and her Shih Tzu, Tyrone. She also loved to travel and experience new places. She enjoyed music, playing the accordion, swimming, fishing, and camping. She was a highly encouraging and supportive person, whose strength and determination were unsurpassed. Arlene placed God and her family above all else, but for Arlene, the term “family” extended to nearly everyone she encountered; in like manner, many came to regard her as a member of their own. She was illimitably kind, amiable, and compassionate, a positive influence for all of whom were given the opportunity to connect with her. She will be deeply missed. Arlene is survived by her significant other, Wesley Glen Stallings, of Nampa; her son, Bryan (Nikki) Larrea, of Caldwell; her son, Kelly Larrea, of Nampa; her daughter, Maria (Dave) Williams, of Nampa; her eighteen grandchildren; and her sixteen great-grandchildren. Arlene is preceded in death by her father, Orbra; her mother, Goldie; and her sister, Jaqueta. A visitation will be held at 12:30PM on Friday, January 25, 2019 with the funeral service beginning at 1:00PM at Alsip and Persons Funeral Chapel (404 10th Avenue South, Nampa, Idaho). Arlene will be laid to rest at Canyon Hill Cemetery (2024 N Illinois Ave, Caldwell, Idaho) following the chapel service. In lieu of flowers please make memorial donations in Arlene's name to the American Red Cross (5380 W Franklin St., Boise, Idaho 83705).